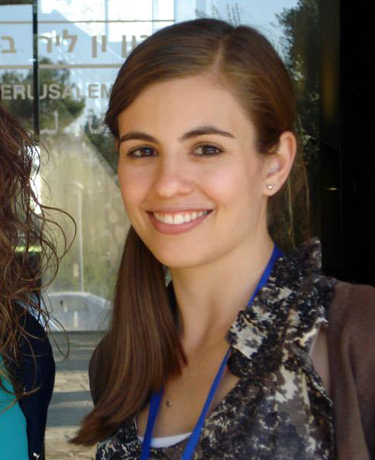 Katie Trostel, a UC Santa Cruz graduate student in literature, is coordinating the conference. 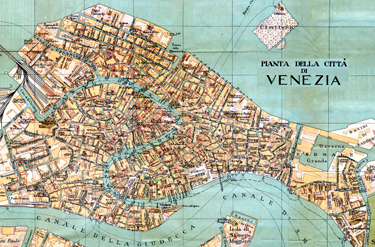 The Center for Jewish Studies at UC Santa Cruz will present a one-day conference, The Venice Ghetto at 500 and the Future of Memory, on campus February 23, at the Humanities 1 Building. The conference will address the complexity of the Ghetto of Venice as it marks its 500th anniversary--both as an actual physical space and as a global metaphor--tracing its path and significance across space and time. Presenters at the conference will bring together representations of the ghetto in art, literature, and photography and discuss the archival possibilities of digital technology. By thinking of the ghetto as a “memory space that travels,” as opposed to a museum-like site, the goal is to create new representations of the ghetto that will resonate with people in the 21st century. Trostel’s own presentation at the conference will be a Skype conversation with acclaimed Chilean poet and human rights activist Marjorie Agosin. “She explains in prose poems all the places in history where her family has been exiled from, or set apart from the larger population,” said Trostel. “She goes to four different continents to explore Jewish space that has touched her life. The conference will also include a panel on the ghetto as theater, and another on digital mapping projects, such as historic Jewish spaces in Morocco which no longer exist. The final panel, titled “The Venice Ghetto at 500,” will be a roundtable discussion moderated by UC Santa Cruz emeritus professor of literature Murray Baumgarten. Those panelists will include UCSC digital humanities specialist Rachel Deblinger, history lecturer Bruce Thompson, emeritus professor of history Peter Kenez, and history professor Nathaniel Deutsch, director of UCSC’s Institute for Humanities Research. Baumgarten is also slated to give a talk titled “Venice, the Ghetto, and the Jews, 1516-2016: A Tale of Money and Moxie,” at the opening of an art exhibition in San Francisco at the Jewish Community Library in conjunction with the Museo Italo Americano, on March 29. The Venice Ghetto at 500 and the Future of Memory conference will take place on February 23, at the Humanities 1 Building, Room 210, on the UC Santa Cruz campus, from 12:15 to 6:30 p.m. A reception will follow. Admission is free and open to the public. This event is sponsored by the Center for Jewish Studies, the Literature Department, and the Siegfried B. and Elisabeth Mignon Puknat Literary Studies Endowment. For more information and a complete schedule, visit the Center for Jewish Studies or contact the Institute for Humanities Research at ihr@ucsc.edu.